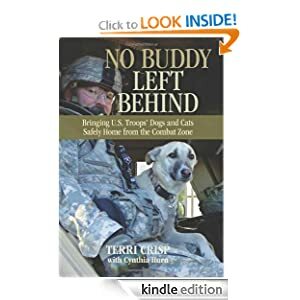 Today Amazon offers No Buddy Left Behind: Bringing U.S. Troops’ Dogs and Cats Safely Home from the Combat Zone by Terri Crisp just for $1.99. TERRI CRISP is the author of Out of Harm’s Way and Emergency Animal Rescue Stories. As the program manager for SPCA International’s ‘Operation Baghdad Pups’, she has made thirty-one trips to Iraq and Afghanistan since the program’s inception. She has been interviewed onOprah, national television news programs, and morning talk shows. Numerous national publications, including the New York Times, Los Angeles Times, Boston Globe, San Francisco Chronicle, Washington Post, and Wall Street Journal, have run stories on her work. She lives in Somerset, California. 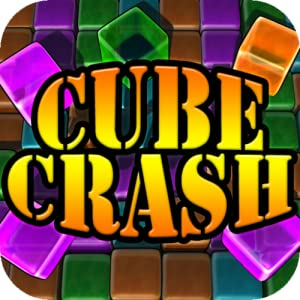 In Cube Crash, you must make matches of three or more colored cubes. The larger your grouping, the higher your score. But don’t leave too many blocks behind, or you won’t progress to the next level. The trick to the game is the scoring; line up massive groups of blocks to clear all at once. To earn the highest score, don’t just press wildly to clear the grid. The more blocks you include in one large group, the more points each block is worth, so plan out your moves for the highest score. As you hover your finger over a group of blocks, your selection lights up and shows you how many points you’ll earn from the combo. Plan ahead to drop blocks into line with others, and create larger groups for higher scores. Very large groupings don’t just scatter when you crash thorugh them–they seem to explode, adding a satisfying feeling of “boom” to this simple yet challenging game. This entry was posted in Kindle Applications, Kindle Apps, Kindle Books, Kindle Daily Deal and tagged Cube Crash, No Buddy Left Behind, Terri Crisp by Paul. Bookmark the permalink.